Buy it Now for just $17.30! 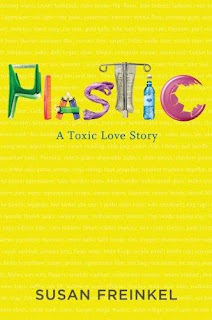 I just finished reading the Introduction to Susan Freinkel's newest book, Plastic: A Toxic Love Story and I feel empowered. 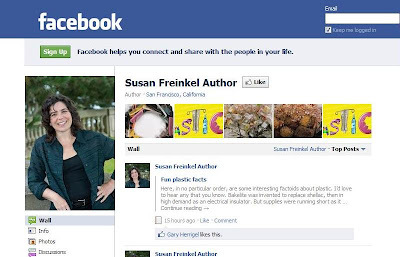 Susan Freinkel's new book, Plastic, is a must read to add to your green reading list. 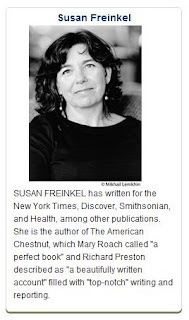 Let me rephrase that, Susan Freinkel's newest book is a must read to add to ANY reading list! No matter where you are on your walk on the path to green living, just starting out or already far along on your adventure, you can feel empowered to create change too. In 1960, the average American consumed 30 pounds of plastics a year. Today, just 50 years later, Americans consume on average 300 pounds a year. Click above to follow Susan on Twitter!